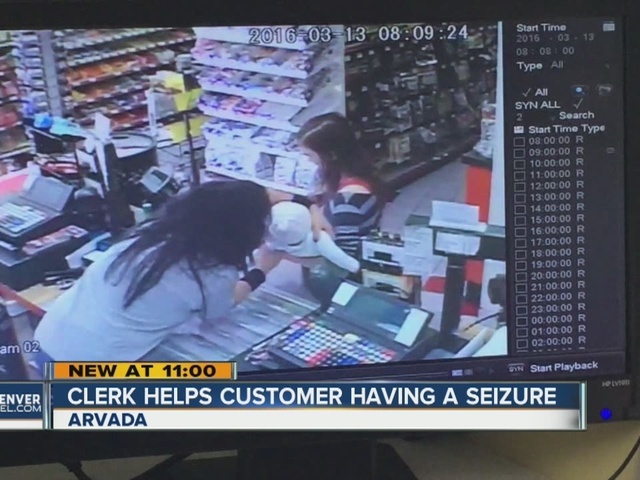 A convenience store clerk reached over the counter and took a baby from a woman's arms right before the woman collapsed. Rebecca Montano was working at the Farm Crest Milk Stores in Arvada, Colo. on Sunday when the young woman came in with the baby. "She came up to pay for an item and I was talking to her and trying to make the baby smile," Montano said. "All of the sudden she had a blank look on her face and I sensed something was very wrong." 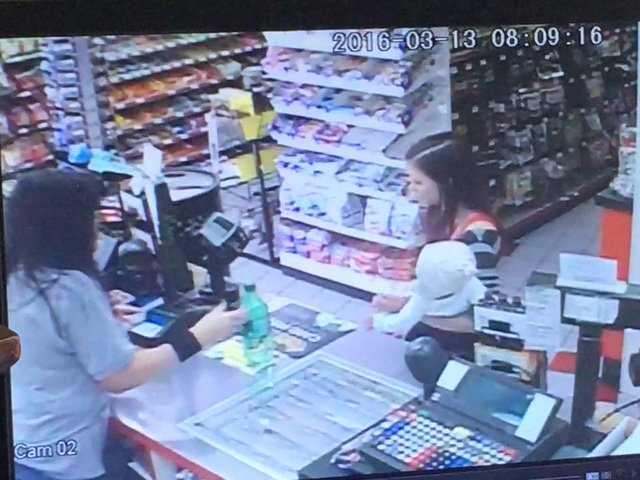 Montano reached across the counter and took the baby out of her arms as she started to sway back and forth. "I ran around the counter, gave the baby to the other customer and called 911," said Montano. "She had fallen on the floor and was having a seizure." Security cameras captured video of the whole incident. Montano said the woman "hit her head badly" when she fell. "The police said I did the right thing by taking the baby because if she had fallen with the baby it could have been really bad," Montano said. "I'm hoping she will come in again sometime so I know she's alright," Montano wrote on Facebook. Montano told Scripps station KMGH in Denver the woman came back into the store Wednesday to thank her and she and her daughter are doing fine. Montano is a mother of five and a grandmother of nine — with one more on the way. She says she acted on instinct and hopes anyone in her situation would do the same thing.